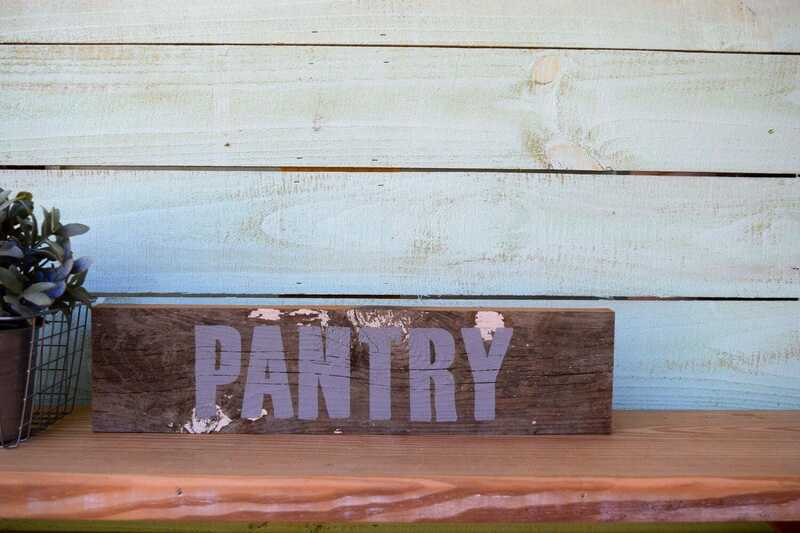 Hand painted lettered sign, reclaimed wood with 20 yr + chippy paint. Sign can stand on its own or hang on the wall. Approx 20"x5" and 1" thick. Perfect for your kitchen, dining room, or any room or wall in your home. PayPal, Visa, MasterCard, American Express, Discover, Etsy Gift Cards. Seller's don't receive your credit card information. Shipping prices are automatically calculated based on your zip code, weight and size of each item. We ship items together when possible. Sometimes USPS Priority Mail shipping costs less than standard shipping, so be sure to check when ordering. Processing Time: Please refer to the shipping info of your item(s) for shipping time. We will message you with a tracking number once your item has shipped. All items will be insured by us. If you receive your item damaged, keep the packaging, take photos of the item and packaging and contact USPS to file a claim. Each order is handcrafted just for you, with an attention to detail. Because items are handcrafted, they will look very much like the photos but, there will be some slight variations in the wood characteristics, distressing, whitewash, etc. You are getting one of a kind! Our lead time carries depending on holidays and number of orders. Please refer to the item listing for specific shipping time. If you need your order by a certain date, please contact us. We will do our best to accommodate your request.